Wind and sun are available everywhere, so renewable energy can be economically harnessed at small scales across the country, state and community. This nature of renewable energy, coupled with an exponential increase of renewable energy generation here and abroad promises to transform the structure and scale of the nation’s grid system. But the greater transformation is the democratization of the electric grid, abandoning a 20th century grid dominated by large, centralized utilities for a 21st century grid, a democratized network of independently-owned and widely dispersed renewable energy generators, with the economic benefits of electricity generation as widely dispersed as the ownership. This paradigm of energy production – called “distributed generation” because it is geographically dispersed and connects to the existing (distribution) electric grid infrastructure – is changing the nature of energy generation. It’s the same way in which personal computers replaced mainframes, or how Wikipedia and the internet have supplanted the library encyclopedia. Germany has installed over 10,000 MW of distributed solar photovoltaics (PV) – mostly on rooftops – in the past two years and renewable energy now constitutes 17 percent of overall electricity generation. Half of their wind power and three-quarters of German solar is locally owned. California intends to generate 12,000 megawatts (MW) from renewable distributed power plants by 2020. Utilities are testing and developing new energy storage technologies just as manufacturers are prepared to put 100,000 fully electric vehicles on U.S. roads by 2012. Sixteen states have added a solar or distributed generation mandate to their renewable electricity requirements. The potential for local ownership and economic benefits from energy generation has never been greater. The rapid growth of distributed renewable energy has led utility planners and state and local governments to examine what the new rules of electricity generation and distribution will be in an age where households and businesses will be both producers and consumers of electricity. The result is a historic opportunity to democratize energy, develop energy efficiency, energy self-reliance and renew local communities. Until recently, utilities believed that even small amounts of variable renewable energy like solar and wind would generate problems on the local electric grid. But currently in Kona, Hawaii, a 700 kilowatt (kW) solar array provides 35% of the capacity of the local distribution feeder. In Las Vegas, 10 MW of commercial solar PV on a distribution line provides 50% of capacity (and up to 100% during periods of low load). In each case, the utility has reported no significant issues managing the integration of local distributed solar power. The growth of democratic, distributed renewable energy will also mitigate the need for new backup generation to smooth the variations in wind and solar power production. Geographic dispersion will significantly reduce backup requirements, and existing fossil fuel power plants (particularly natural gas) will have sufficient capacity to smooth out the remaining variations in wind and solar generation for many years. In the long term, the increasingly renewable energy electricity grid will also use more energy storage. New technological developments and an increasing recognition of the many system benefits of storage (e.g. frequency regulation, voltage support, etc.) has led the Federal Energy Regulatory Commission (FERC) to issue new rules that give storage and generation equal standing. This opens the door for large energy storage systems from batteries to pumping systems to compete with fossil fuel backup power to smooth out wind and solar power production. The new distributed grid paradigm is already being tested by utilities. Xcel Energy installed and has been testing a 1-MW (7.2 MWh) sodium-sulfide (NaS) battery integrated with a 11.5-MW wind energy project in Luverne, MN. The Long Island Power Authority is considering a proposal to meet growing demand with a 400 MW battery storage facility rather than new power generation. A cornerstone of the democratization of the grid with distributed renewable energy is its economic competitiveness. New wind, hydro, and geothermal power can increasingly compete head-to-head with fossil fuels with the use of federal tax incentives. Solar power is competitive in a few select regions with high electricity prices and a strong solar resource, but its rapidly declining costs (50% in 5 years) suggest a pending explosion of distributed solar power. This transition is aided by re-evaluations of the value of distributed energy by regulators and utilities. Municipal utilities in Colorado, Florida, and Texas have found valuable benefits beyond its electricity output. Furthermore, distributed generation reduces efficiency losses from long-distance transmission of electricity and can help reduce the incidence of blackouts (just 500 MW of distributed solar could have prevented the massive Northeast blackout of 2003, saving $6 billion). Wind power is most cost effective in a size range of 5 to 20 megawatts. 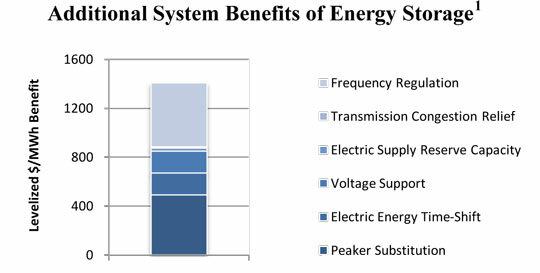 Historically, solar PV economies of scale have largely been captured at an individual project size of 10 kilowatts, with modest additional savings for community-scale projects.The modest economies of scale in wind and solar power also create a positive feedback loop of cost effectiveness and economic value. Wind power is most cost effective in arrays of 5-20 MW, a handful of utility-scale turbines. The economies of scale of solar PV are largely captured at the modest size of 10 kW, with modest additional savings for community-scale (up to 1 MW) projects. The small scale cost effectiveness of distributed wind and solar enables the democratization of energy production and local ownership. For states and cities looking to maximize the local value of renewable energy, the 1.5 to 3.4 times greater economic returns of local ownership compared to absentee ownership are compelling. While technology advances and costs drop, the major obstacle confronting distributed generation is a century of rules and institutional structures predicated on the outdated assumption that power plants will continually grow in size and electricity will continue to be transmitted over ever-longer distances. From federal energy incentives to rules issued by the Federal Energy Regulatory Commission (FERC) to state interconnection rules, there is a systemic bias toward centralized power and one-way grid systems. Expanding and adopting new policies can level the playing field. The Federal Energy Regulatory Commission can abandon its policy of providing lavish and unnecessary incentives to new high-voltage transmission at the expense of democratic, distributed generation. The federal government can also aid the transformation to a 21st century grid by extending the cash option in lieu of tax credits that dramatically broadens the potential participation in renewable energy generation. CLEAN Contracts (i.e. feed-in tariffs) make electricity generation “plug and play,” democratizing the grid and allowing energy consumers to become producers. Data sharing rules enforced by state public utility commissions require utilities to publish information about their distribution network, to let distributed generators locate the best opportunities for developing new projects. Interconnection reform at the federal and state level can drastically simplify the process of connecting distributed generation to the electricity grid. Community choice aggregation and municipalization can give communities the power and authority to establish energy self-reliance. 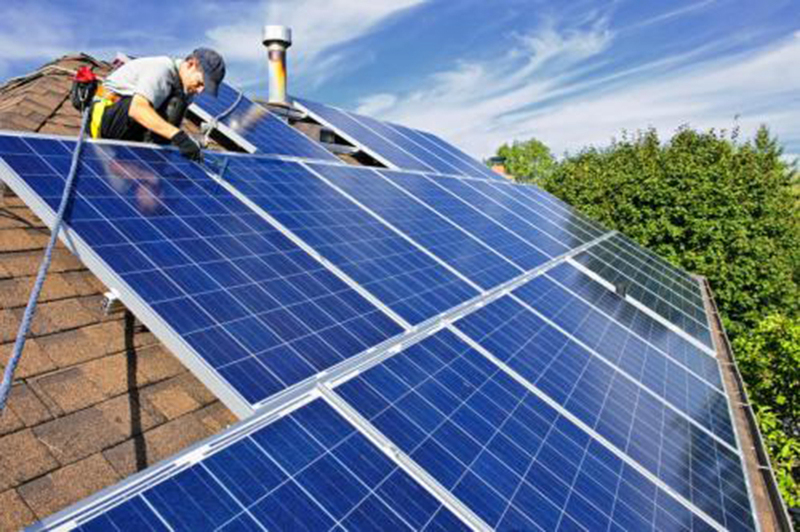 Lacking these major moves, communities can increase democratic, local energy development by passing solar access laws giving everyone a right to capture sunshine on their property for solar electricity and by changing building codes to encourage or require more on-site power generation. The U.S. electric grid is poised for a transformation. Without new rules, the renewable energy future and its economic benefits will be developed under an outdated paradigm and owned by the same few large utilities. With new rules, we can unlock the potential of distributed generation and the potential of people to power the clean energy future. 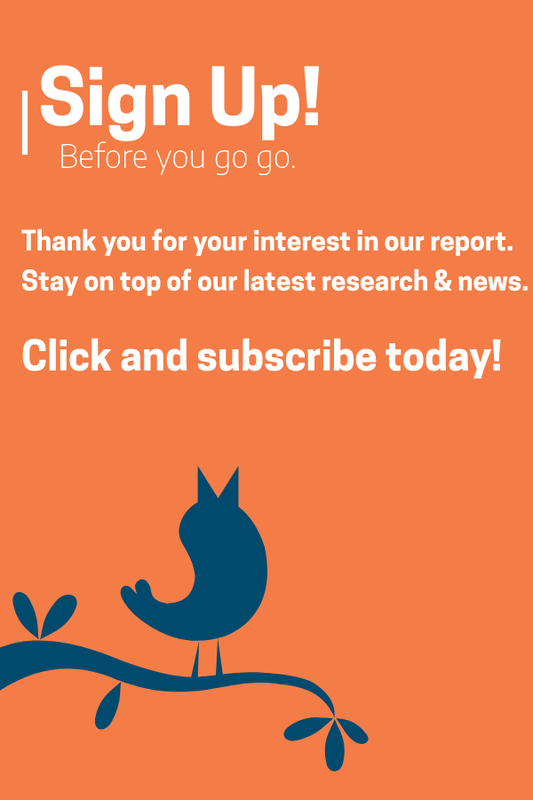 To download web-ready charts from the report, click here. For questions or interviews, contact report author John Farrell at jfarrell@ilsr.org, 612-276-3456, or on Twitter @johnffarrell. What is the source for “Wind power is most cost effective in a size range of 5 to 20 megawatts … solar PV economies of scale have largely been captured at an individual project size of 10 kilowatts”? Clearly renewable energy companies are unaware of this, since the trend is toward larger projects.